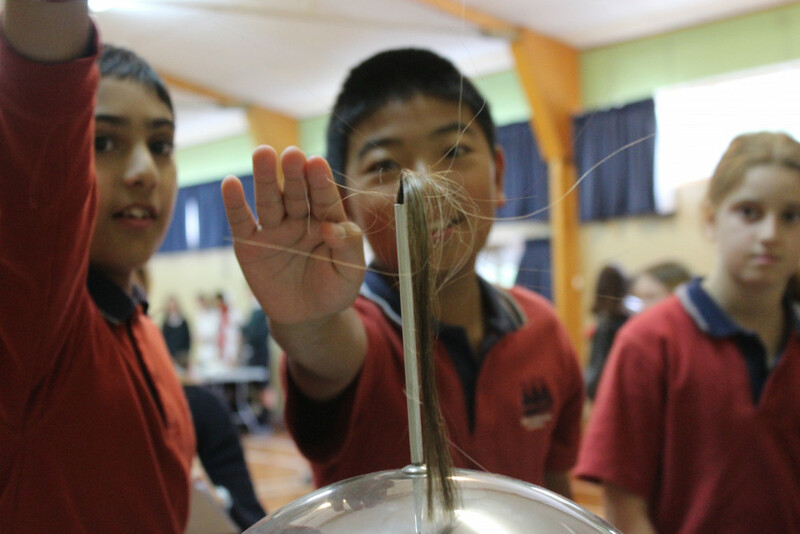 On 10th May Schoolgen visited Waakaranga Primary School to teach the kids a little bit about energy. Schoolgen is a division of the Environmental Council, and the group that I was in was concerned with teaching the kids about renewable energy. We arrived at the school after a hearty trek and set up shop in the hall, along with the other groups. My team placed maps of the North Island on the table, in preparation for a game of ‘Pin the tail on the power station’. 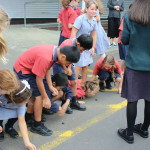 I was then sent out back to help test out the little solar cars we had brought along to make sure they worked. 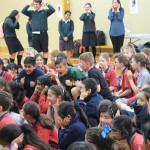 Soon a swarm of buzzing Year 6’s arrived. Everyone’s stomach dropped, and I figured we were done for. 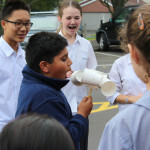 However, we gained momentum slowly, as we presented the ideas of solar energy, wind energy, hydroelectricity, and bio-fuel (the kids giggled when I mentioned they came from dead plants). We taught each class for 15 minutes, and we had 4 classes. During the pin the tail game, I had to motivate groups of kids, so I told them to ‘Finish the task in less than 30 seconds’. It worked – they wanted to beat that time, so they did. These kids were smart, as I discovered from talking to each of them. One of them talked about constructing a hydraulic arm out of syringes. I felt very dumb afterwards, and pondered how kids were doing so much stuff. Our future seemed quite bright. Not only were we teaching kids about safe and sustainable energy, but kids were learning other helpful and neat skills. I liked teaching kids, and got the hang of it, so by the last class, we as a team were in full swing. It was a bit of a relief to finish, although I’ll miss talking to the kids. We trekked back to Pak, contemplating the experience, and sort of proud of what we had accomplished. We had triumphed over adversity, and contributed to the education of young minds. Our mission fulfilled, we could rest easy.